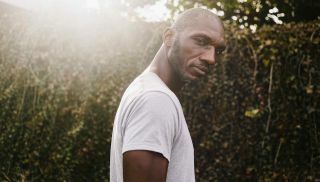 Has Cedric Burnside, grandson of R.L Burnside, found his groove? Cedric Burnside, son of drummer and Hill country blues legend Calvin Burnside, and grandson of R.L. Burnside, has big shoes to fill, but he might just manage it with his new record. Burnside has performed and recorded with countless musicians, including Junior Kimbrough, Kenny Brown, North Mississippi Allstars, Burnside Exploration, Widespread Panic, Jimmy Buffett, T Model Ford, Bobby Rush, Honey Boy Edwards, Hubert Sumlin, Galactic, Black Joe Lewis and the Honeybears, and The Jon Spencer Blues Explosion among many others. In 2006, he appeared in the movie Black Snake Moan, playing drums as Samuel L. Jackson does this outrageous version of Stack-O-Lee. Benton County Relic is out September 14.